What event will you invite Coach Wouter to speak at? If you are a high achiever, how is your leadership story unfolding? What stretch goals have you set for 2018 for yourself, your team, and your business? What are you changing in your focus, your behaviors, and your habits to make this year your best so far? Join Coach Wouter as he grows more leaders in the Philippines, Indonesia, Japan, Australia, the Netherlands and other countries in Asia and around the world. Invite him to speak at your business event and explore how you can benefit from leadership training and coaching. 1. Your Compass and Collaboration colors. 2. The colors your team members speak. 3. Using the right color in each situation. Do you want to boost your influencing skills by connecting powerfully with your audience in your conversations, meetings, and public speaking? Then get to know the 7 communication styles used by influential leaders around the world, including Nelson Mandela. Take an assessment to discover your own personal profile of the styles you like and the styles you unconsciously reject. Explore in a private coaching session how to make sense of your profile and discover the styles that you personally need to lead effectively. To learn more about it, click the photo to visit our academy site. By taking the assessment and the coaching session, you are laying the foundation for mastering your skills to Work In All Colors and fully engage your audience anytime, anywhere. You will be wondering by now what the communication styles—or languages—are that are marked by the seven colors. They are Purple, Red, Blue, Orange, Green, Yellow, and Turquoise. You can see them in the table below. They keyword in the second column give you an idea of what is most important when you see the world through that color. The slogan in the third column describes how you may show up in your behaviors and actions when you are driven by that color. Is most important and... fun! Set up a call to discuss how Coach Wouter can help you transform your business. Invite him as a keynote speaker, executive coach, facilitator of your management team retreat, leadership trainer for your staff, or personal mentor to navigate your career or life transition. To lead the change you want to see, his coaching will help you take charge and see you through the process. 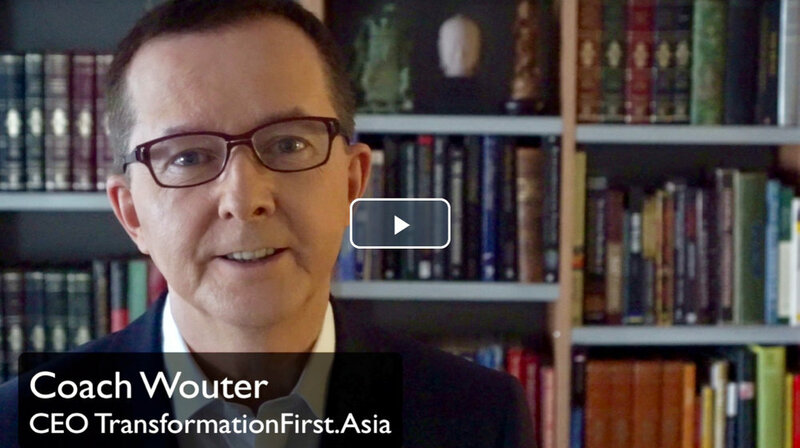 Coach Wouter is the Founder of TransformationFirst.Asia Pte Ltd in Singapore, with clients in Asia and beyond. Known as a brilliant leadership coach, he brings out the best in people, breaks down barriers, and builds trust with all levels of the business. 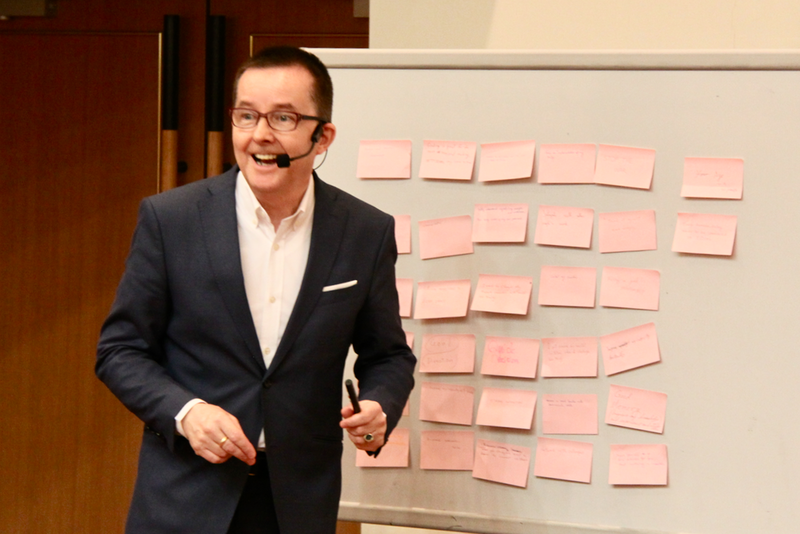 An international thought leader, speaker, author, facilitator, trainer and mentor, Coach Wouter has supported local communities, professionals, entrepreneurs, executives, bureaucrats, journalists, government ministers, and royalty. Working at the Asian Development Bank for two decades, he led many change initiatives in Asia, including a doubling of the bank's water investments to $2 billion annually. As a former monk, his style is warm and insightful, bringing a rare blend of East and West cultural backgrounds to his coaching skills. An engineer and scientist by training, with a master degree from Wageningen University in the Netherlands, he has helped clients in most Asian countries in investment projects, change management, stakeholder engagement, leadership development, collaborative research, innovation, and regional cooperation. Coach Wouter is a member of the International Association of Coaching. Besides leadership coaching, his passions include Asian cultures, sustainability, working with millennials, public speaking, writing, photography, and playing saxophone. Check out Coach Wouter's LinkedIn profile for more information. Why choose Coach Wouter over someone else? In three reasons, it is to take advantage of his knowledge, style, and inspiration. Tap into his experience of leading change in Asia and around the world, for more than three decades. Solve problems using his deep knowledge of the leadership methods that work for your business. Choose his engaging style if you like to expand your skills, your awareness, and your knowledge at the same time. Discover how to combine what you learn to take your leadership to the next level in your work and life. Feel energized by his flow of inspiration as you take on challenges to practice new skills and behaviors at work. Experience breakthroughs for the changes you want to see. Be accountable to keep making progress. Achieve results that inspire you and the people around you. When you work with Coach Wouter, you learn how leading always starts with what you think and how you show up, right now. Take a moment to visualize that you are the person in purple. You are ready to transform into a leader with personal power to be curious, cheerful, and convincing. Then, as you transform, you are growing a golden circle of influence in your life, your business, and our world. Can you see it? Then you can start your transformation now. Wouter’s style is warm, insightful and very effective. He brings a rare blend of an east and west cultural background to his coaching skills. Wouter has the knack to expand his client beyond self-imposed limitations. — Flo in the US.